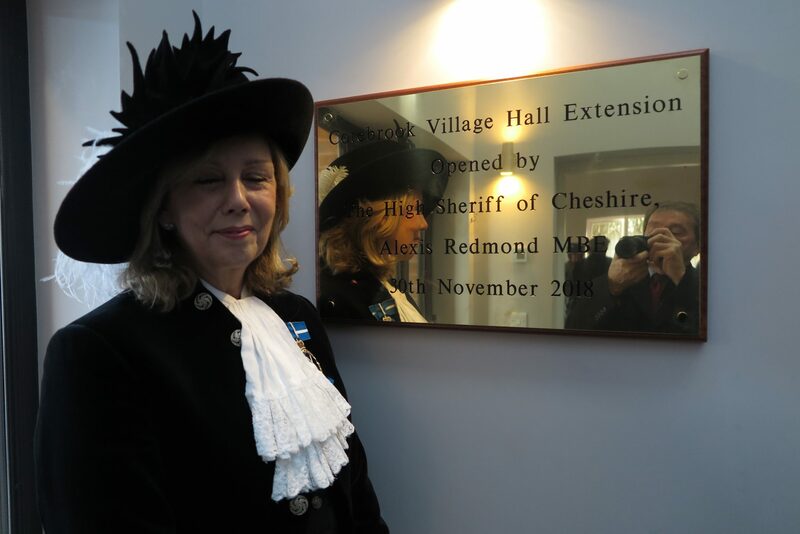 November 30th 2018 marked a very special day in the history of the 80 year old Cotebrook Village Hall, when the new extension was officially opened by the High Sheriff of Cheshire, Alexis Redmond MBE. 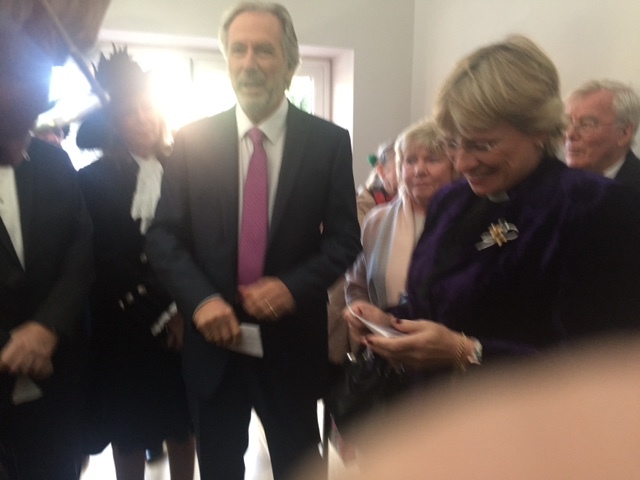 The event marked the culmination of many years planning and fund raising to extend and modernise the hall. The front of the hall has been rebuilt with a more attractive façade to enhance the hall’s external appearance. As a result, an extra function room, which is to be named the Alex Timpson room in memory of Sir John Timpson’s late wife, has been added to enable more activities to take place. The toilets have been significantly improved by modernisation, whilst a new cubicle now provides wheelchair access and facilities for the less abled. To complement and enhance the hall a new fully fitted kitchen has been built, increasing in size and scope the available catering facilities. It is anticipated that these improvements will provide extra comfort and help future hirers to host even more successful events and parties. The makeover went ahead thanks to grants from funding agencies WREN, Garfield Weston, Bernard Sunley and the Leverhulme Charitable Trust with additional, very generous donations by The Holroyd Foundation, Sir John and James Timpson and Professor Phil Redmond and his wife, Alexis. The ceremony opened with a blessing by Rev. Georgina Watmore, followed by speeches from Bill Holroyd CBE, President of the hall, and Judith Walters, chair of the management committee. 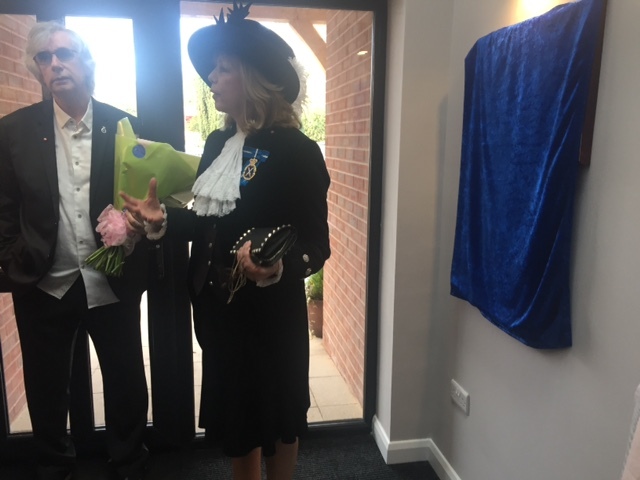 Alexis Redmond MBE formally unveiled the plaque in the entrance much to the pride of all who had worked so hard to reach this point. Sir John Timpson then made a very moving speech describing how he and his wife had found their house in Cotebrook and highlighted the many very happy years they had spent there. Over 50 people attended the celebration, including the MP, Antoinette Sandbach, the local Borough Councillor, Eveleigh Moore – Dutton, Richard Smith from WREN, many local residents and businesses, the pre-school staff and trustees, and members the hall’s management committee and trustees. Two toddlers from Cotebrook pre school, Lola Rock and Penny Ash, presented the High Sheriff with a beautiful bouquet of flowers and later refreshments were served in the Alex Timpson room. Judith Walters believes the improvements will make a huge difference to the lives of the people in the area and hopes the community will take full advantage of the beautiful new extension and hire it for functions and activities.